PALMDALE – Musical performances, story times, crafts and a LEGO creation competition are among the activities planned at a two-day Book Fair this weekend hosted by Grace Lutheran Christian School. 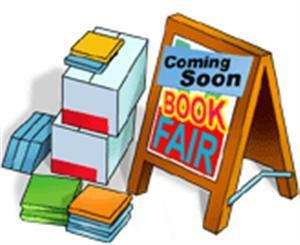 The Book Fair will take place from 4 to 8 p.m., Friday, Nov. 8 and from 10 a.m. to 4 p.m. Saturday, Nov. 9 at Barnes and Noble, located at 39228 10th Street West in Palmdale. The event, which is open to the public, will feature lots of family fun, according to organizers. “While you are in the store, people can sample the Grace beverage of the day, look for our estimation stations, and enter to win Barnes and Noble gift cards. Also, show your receipt at the Grace information table from any purchase, and your name will be entered in our grand prize raffle,” stated organizer Kirsten Larson. The event will raise money for Grace Lutheran School’s reading programs, including the school and classroom libraries. For more information on this event, contact Principal Karen Markin at Grace Lutheran Christian School at 661-948-1018 or email Principal@gracelancaster.org. 5 p.m. – Story time. Spanish treasure stories with Nicki Escamilla (Spanish) and nautical-theme stories with Theresa Dorff. 10 a.m. – Story time with Heidi Cross (1st/2nd grade). 11 a.m. – Very Hungry Caterpillar story time and craft with Claudia Baker (pre-K). Noon – Story time with Debbie Feickert (3rd/4th). 1 p.m. – LEGO cool creations competition; build a model at home and bring it to win prizes. 2 p.m. – Story time with Kathy Franer (Kindergarten).